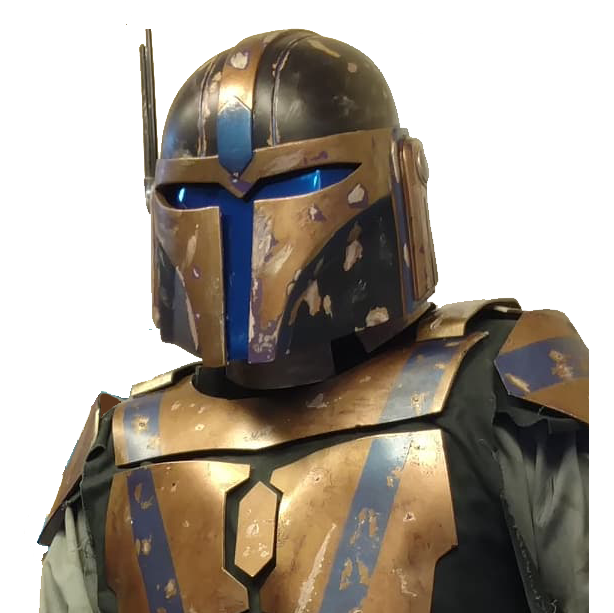 Mandalorian Mercs Costume Club > Mandalorian Armor > Armor Construction (Moderators: osukaru, Bowfanny, Ahn'vil Burk'yc, Fenris Claddanna, Havelock, Hik'aari, Vor'en Marr) > jett drexel's double whammy w.i.p. Re: jett drexel's double whammy w.i.p. thanks brett. and heres my finished mythos style kama. I'm still waiting to see some pics of these kits ON YOU! Why must you string us along? Do you intend to ever kit up or you just gonna keep posting finished pieces? here you go just for you jal. shin pouches. no no, this is good. i'll skim through your thread and save all the pictures to my computer and then just make a collage out of it. i have a wonderful imagination.